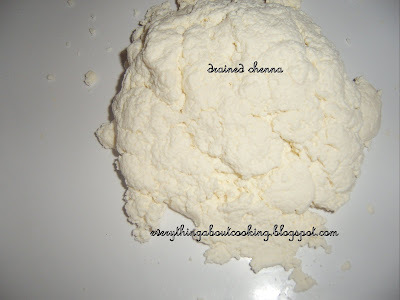 Making paneer or chenna is easier than u might think it is.All u need is milk,lemon juice or vinegar,curd and a piece of cloth and you're all set to make paneer/chenna.So next time u wanna make paneer butter masala or shahi paneer or even rasgulla or sandesh,do try to make ur own paneer/chenna. 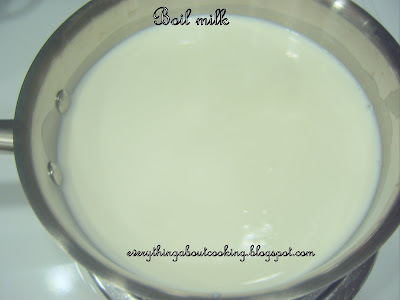 Heat a heavy bottomed pan and add milk.Let it come to boil,stirring(to avoid the milk from buring). 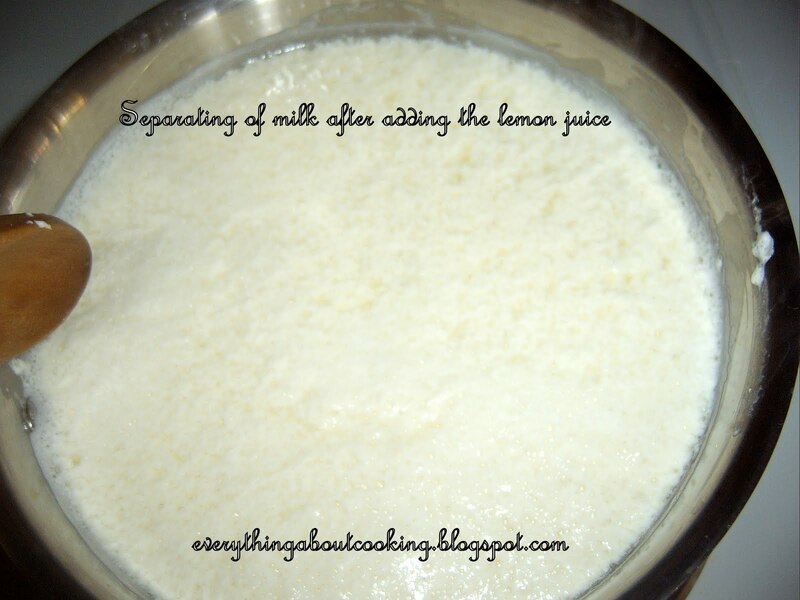 Add lemon juice mixed in 1 tbsp water and stir for a sec.Switch off the stove.The milk breaks and clear water can be seen . 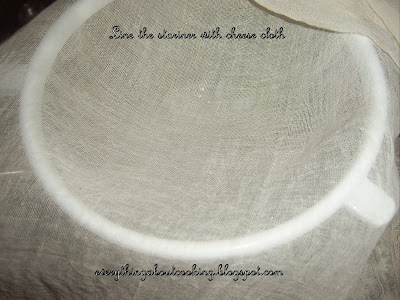 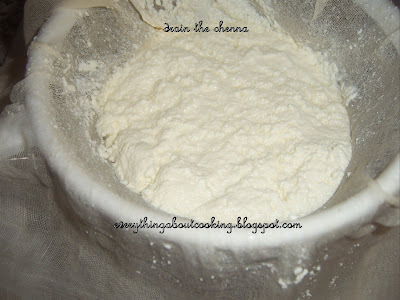 At this stage,drain the chenna onto a cheese cloth,lined in a strainer. Make sure to drain the water completely or set it with heavy weight,keep aside for an hr and cut it into peices and use as paneer.or crumble and use in sweets.